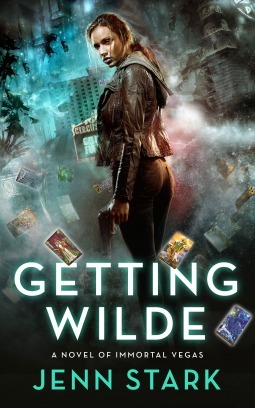 Getting Wilde had an interesting premise, which is what drew me to read it. However, I never felt it fully reached its potential. I enjoyed Sara as a character, and her gifts were interesting, but the world in which she lived was never explained in enough detail. What exactly is the Arcana Council, and what are its members? Where do they get their powers? How does it all work? None of this was elaborated on. Granted, this is a series, so additional information may come in later books, but I felt we needed a little more here at the start. In addition, I had a slight issue with the men in the tale, all of whom spent the majority of their time trying to get Sara into bed, often through aggression and manipulation, which made them all come across as misogynistic rapists. The story also lacked cohesion. Yes, there was a main plot point of looking for the two missing girls, but in some ways it read more like vignettes of Sara's different heists. I am still giving this book 3.5 stars, because I loved the idea and Sara was a good heroine, but for me the lack of cohesion, lack of explanations, and negative portrayal of all the potential love interests let it down.